Hail is an open-source framework for scalable genetic data analysis. To get started using Hail, see the documentation, join the discussion forum, and chat with the Hail team and other users on the Hail gitter. Hail is pre-alpha software and under active development. If you're interested to get involved, see the Development category of the discussion forum and chat with the Hail team and other developers on the Hail development gitter. We encourage use of the discussion forum for user and dev support, feature requests, and sharing your Hail-powered science. Please report any suspected bugs directly to issues. The Hail team is based in the Neale lab at the Stanley Center for Psychiatric Research of the Broad Institute of MIT and Harvard and the Analytic and Translational Genetics Unit of Massachusetts General Hospital. Contact the Hail team at hail@broadinstitute.org. Kafka is a message broker project and aims to provide a unified, high-throughput, low-latency platform for handling real-time data feeds. A Scala binding for the Cascading abstraction of Hadoop MapReduce. CPU and GPU machine learning library, using JNI for GPU computation. Real Time Aggregation based on Spark Streaming. A sbt plugin which helps deploying Apache Spark stand-alone cluster and submitting job on cloud system like AWS EC2. A Scala API for computing clusters and grids. 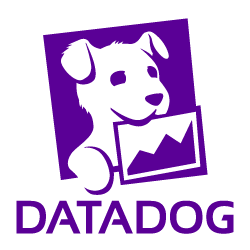 A Scala DSL for Hadoop MapReduce. Do you think we are missing an alternative of Hail or a related project? There are no recommendations yet. Be the first to promote Hail! Have you used Hail? Share your experience. Write a short recommendation and Hail, you and your project will be promoted on Awesome Scala. Do you know of a usefull tutorial, book or news relevant to Hail?